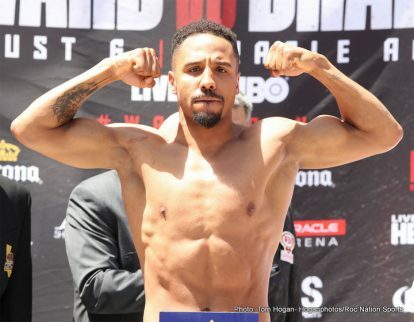 Andre Ward (29-0, 15 KOs) and his opponent Alexander Brand (25-1, 19 KOs) made weight today for their fight tomorrow night on Saturday at the Oracle Arena in Oakland, California. The Ward vs. 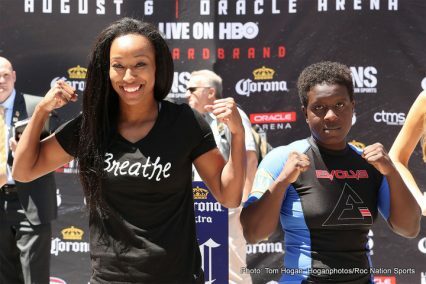 Brand fight will be televised on HBO Boxing. 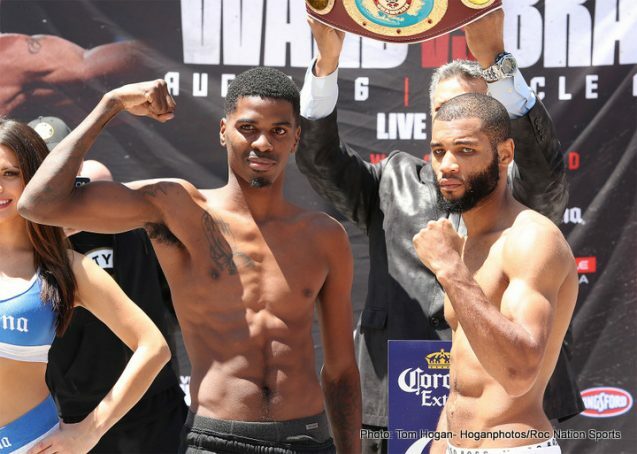 It will be Ward’s third straight tune-up with HBO before he faces his first quality opponent in his contract with HBO in facing IBF/WBA/WBO light heavyweight champion Sergey Kovaev on November 19. For Ward, this will be his second super middleweight he’s faced since moving up to light heavyweight. Just why Ward is fighting super middleweights at light heavyweight is the big question. It doesn’t make sense but that;s how he’s decided to do it. The tune-ups are part of the waiting game for that fight. 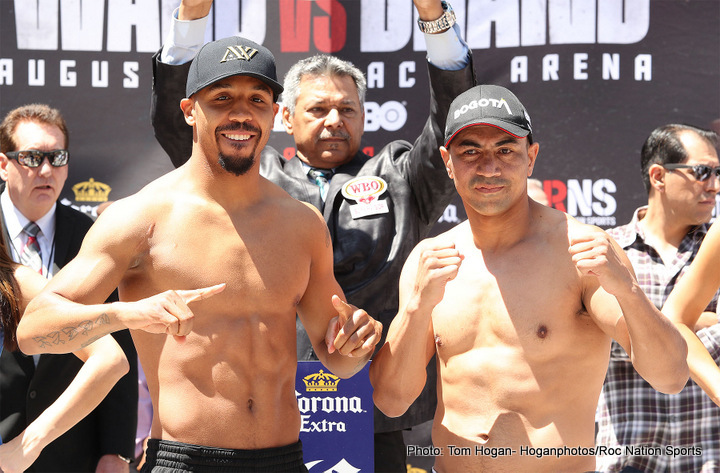 Kovalev already had his tune-up in beating Isaac Chiemba last month, and now it’s Ward’s turn. 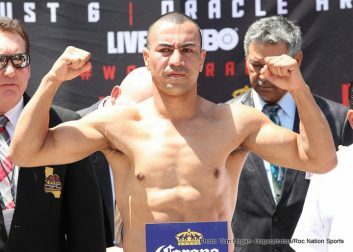 Kovalev’s tune-up was a far better fighter than the one that Ward will be facing on Saturday in the nearly 40-year-old Brand, who was selected from the super middleweight division rather than from the light heavyweight division. It’s unknown whether it was a money thing with Ward’s promoters in choosing Brand or if they wanted someone that had little chance of pulling off an upset. Selecting a small old guy in Brand for Ward to beat up on tomorrow night guarantees that we’ll be seeing Ward facing Kovalev in November. 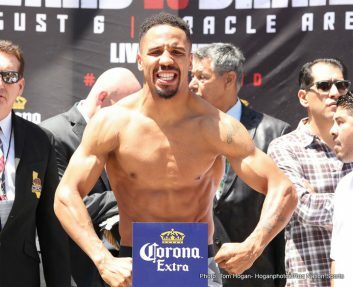 It’s not a great fight for boxing fans though, because it’s a step down for Ward from his last opponent Sullivan Barrera, and that was a mismatch too. 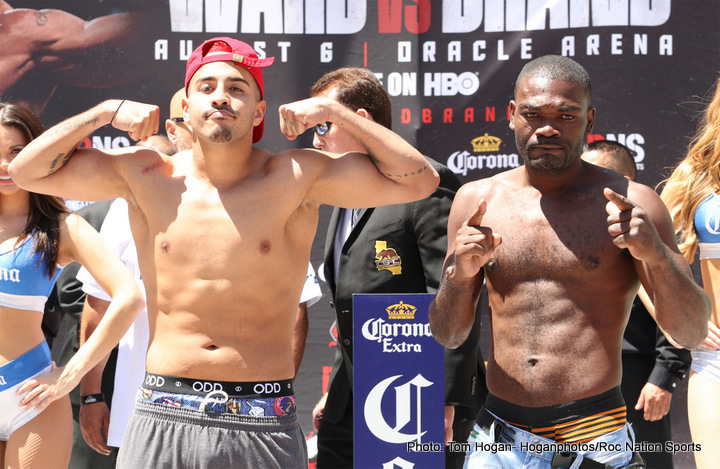 Ward weighed 175lbs, and his opponent Brand weighed in at 173.2lbs. Both guys looked in super great condition. Brand looked a bit on the small side at 5’10 ½” compared to Ward’s 6’0”. Brand looks shorter than his listed height. 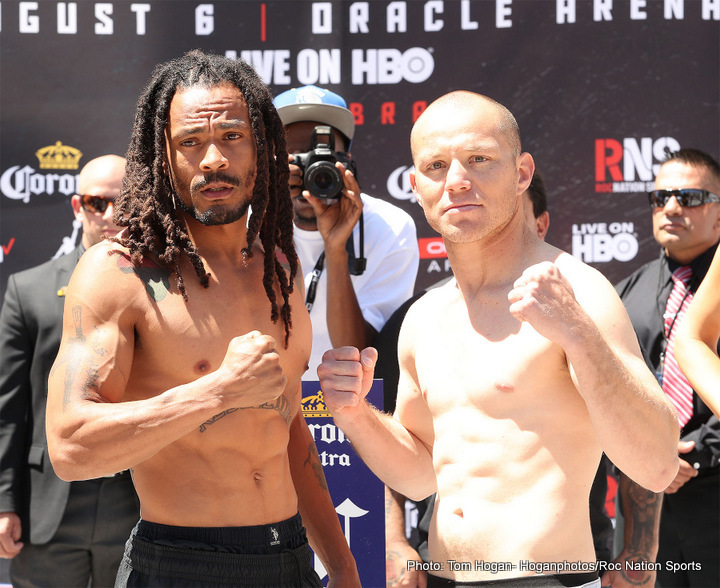 However, it really doesn’t matter what height the 39-year-old Brand is, he’s over-matched in this fight. In Ward’s last two fights since coming back to the sport following a two-year layoff, he’s beaten Paul Smith and Sullivan Barrera. Ward looked good, but not like the fighter that he was on the past. It’s hard to estimate just how much Ward lost through inactivity and the natural aging process, but it’s doubtful that he’s going to be able to get it back with tune-ups. The way Ward looks now, he appears to have changed permanently from the fighter that he once was. He can fight tune-ups for the next five years, and he likely won’t bring back the Ward from his mid-20s. That Ward is gone. From this point, it’s all downhill for him. 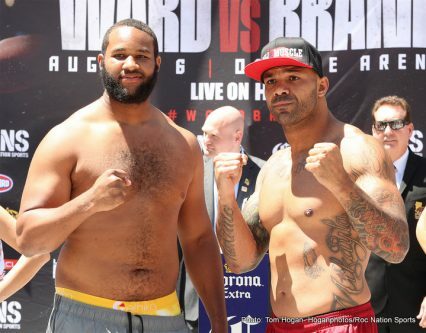 It’s good that this is Ward’s last tune-up fight, because boxing fans want to see him fight Kovalev instead of dragging the fight out over years with tune-ups. If Ward beats Kovalev or loses to him, hopefully he’ll start taking on the quality fighters in the division like Artur Beterbiev, Adonis Stevenson and Joe Smith Jr.